ekiBlog.com: Jill Stuart giveaway is now closed! 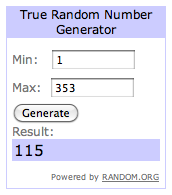 Jill Stuart giveaway is now closed! Thank you so much for entering in my giveaway! after going through all the entries to make sure all qualified and recounted several time we have a winner confirmed! Thank you everyone that have entered my my giveaway I have more giveaways to come in the future!! Have a Happy Holiday everyone!! ah i can't wait for the results of this awesome giveaway! Thank you thank you thank you Eki!!! yaaaaaay i love that girl she has a great blog!! congrants to her!